The Mini Kick is an eye-catching 3ft table top game in a shiny black finish. 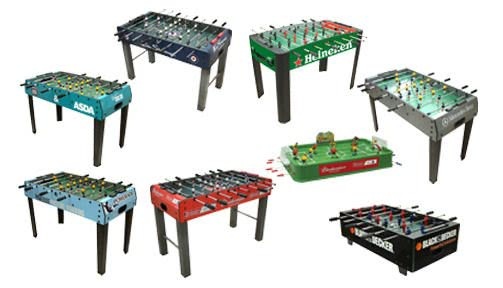 With a smooth sliding pole action the Mini Kick is portable, easy to assemble and most importantly - great fun! The Mini Kick is a great table for younger players, or for taking on trips thanks to its lightweight, compact dimensions. This product is delivered by our dedicated 1 man courier service. Delivery is usually within 5 to 10 working days. Customers will be contacted with a delivery date and AM/PM slot. Free delivery is to UK mainland only. For areas north of Glasgow or overseas please contact Liberty Games for a shipping quote before placing your order.